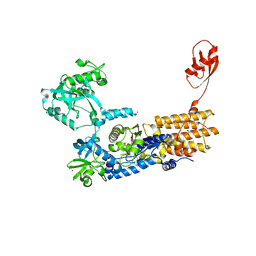 Fab/epitope complex of mouse monoclonal antibody 8B2 targeting a non-phosphorylated tau epitope. Chukwu, J.E.,Congdon, E.E.,Sigurdsson, E.M.,Kong, X.P. 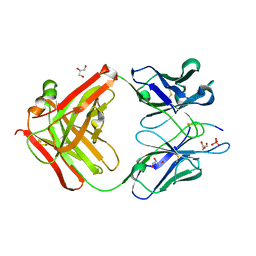 Structural characterization of monoclonal antibodies targeting C-terminal Ser404region of phosphorylated tau protein.